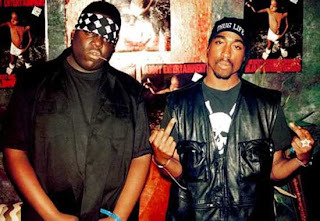 The murders of Tupac Shakur and the Notorious B.I.G continue to cast a dark and suffocating shadow over Hip-Hop culture. Some would say that rap music has been in a state of stunted growth since their untimely passing, unable to grow or evolve. Indeed, rap fans that grew up during that era have a hard time letting go of its two biggest icons. For us, September 13th, 1996 and March 9th, 1997 remain two of the darkest days in Hip-Hop’s 39 year history. The only way this perpetual mourning period will ever truly be over is if someone at long last uncovers and releases the truth. 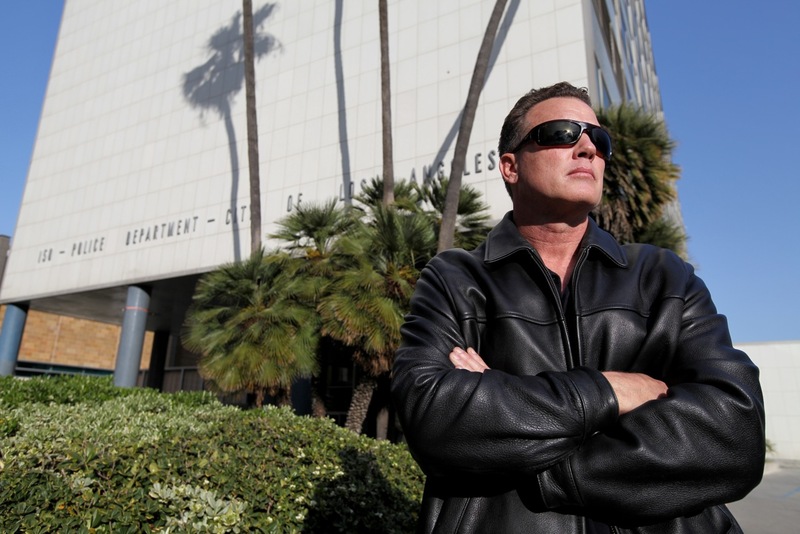 Retired LAPD Detective Greg Kading has made it his mission to assure that everyone concerned finds the closure they seek. From 2006 to 2009, he was part of a task force that reopened the Notorious B.I.G murder investigation. This dark odyssey took him and his team to some startling and unexpected places. Before any of their hard work could pay off, Greg was abruptly taken off the case. After his retirement, he set out to finish what he started. 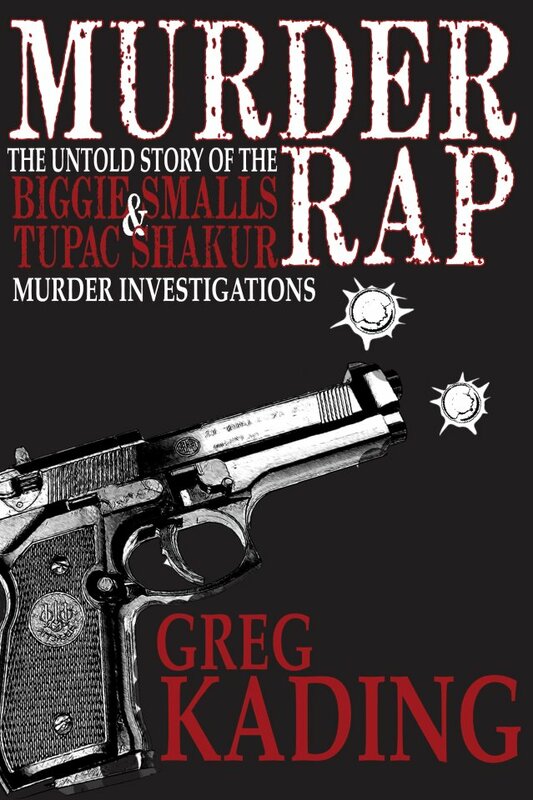 ‘Murder Rap: The Untold Story of the Biggie Smalls and Tupac Shakur Murder Investigations’ gives a blow by blow account of everything he and his task force discovered while tracking down Biggie’s killers. The revelations contained therein are nothing less than explosive. After reading it, I sought out Mr. Kading for a sit down. I, like many others, have always wanted to hear the truth. Scott Wilson: Mr. Kading, please give the people a rundown of your pedigree and accomplishments. Greg Kading: My name’s Greg Kading. I’m a retired LAPD detective. I spent 25 years in law enforcement. I left the LAPD in June of 2010, at which time I retired. The last four years I spent at the department were spent investigating the murder of Biggie Smalls. I was assigned to a task force looking into his murder and the related complications, which allowed us to also look into the Tupac Shakur murder that happened in Las Vegas six months before Biggie. So because of some complications, I left the department and wrote a book called Murder Rap. It describes everything that took place in the two parallel investigations: Tupac Shakur and Biggie Smalls. We essentially solved the cases that because of some political and bureaucratic reasons were never taken to completion. 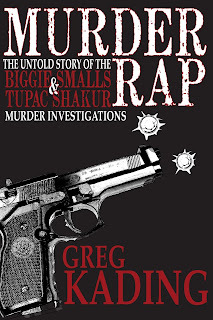 Cover art for Greg Kading's book Murder Rap. Scott Wilson: Why come out with this book now, so long after the murders and so long after many other books proposing different theories have come out? What makes yours different? Greg Kading: Well ours is based on more than just the speculation and kind of loose theories that have been circulating in the public for the last fifteen years. We have the actual bona fide confessions of the individuals who took place in the murders themselves. So this is the first time that we’ve ever had that quality of evidence to present. I wrote the book because I realized that this information was never going to be publicized. Both the LAPD and Las Vegas Metropolitan police departments essentially shelved the cases, and I left after Voletta Wallace refiled her lawsuit against the city. This is the definitive explanation of what happened in both these cases from law enforcement. Scott Wilson: Out of all the investigations you’ve been a part of in your 25 year career in law enforcement, why tell this particular story? What made it that important to you? Greg Kading: Well first and foremost I felt that the families of both of these slain rappers had a right to know everything that we had discovered in the investigations. And then beyond the family, of course, are the friends and fans who also have been yearning for closure and an explanation in the cases. So it just felt as though there was a public obligation to educate those people as to what we knew. Scott Wilson: There are some pretty shocking allegations and accusations in your book. I would figure that there would be more of a ruckus being made in the media, especially the Hip-Hop news media, over what’s contained in your book. How come the response has been relatively muted so far? Greg Kading: Well I just don’t think there’s a huge public awareness of the book or the allegations in the book. It’s self-published, and as you may or may not know, it’s very difficult to take a self-published product and get the kind of publicity that’s going to capture mainstream attention. I think that had the book been published by a traditional publisher, it might have made a much bigger impression. Scott Wilson: Suge Knight paid Southside Crip Orlando “Baby Lane” Anderson $16,000 dollars in exchange for his perjured testimony, which absolved Suge of any wrongdoing in regards to the beating that Orlando received in the lobby of the MGM Grand. If that is true, you basically have a situation where the head of Tupac’s label, who was also supposedly his friend and care taker, was working along with the triggerman in Tupac’s murder AFTER said murder had taken place. 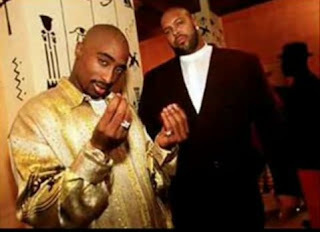 Assuming that Suge knew that Orlando was the triggerman, does such a transaction reveal that Suge never truly cared about Tupac at all? Could it be seen as cowardly or treacherous, or is it something that gangsters would write off as a cost of doing business? Greg Kading: Well I can’t really get inside Suge’s mind. Obviously, this did take place. It’s not a matter of “if” it took place, it did take place. There was perjured testimony purchased from Orlando Anderson by Suge Knight and the whole thing was orchestrated through their various attorneys. That is a fact. It’s well established. So you do have a situation where Suge Knight is paying Tupac’s murderer to lie on the stand in order to benefit from his perjured testimony. Suge didn’t want to go to prison and have Death Row put into a precarious situation where there’s no one to run it. Suge was just basically doing what he had to do. He was acting in his own best interest. That certainly does raise the question of how does an individual look at somebody who just murdered their so called best friend and make a deal with them. Scott Wilson: Is it safe to say that 2Pac pushed things too far and essentially sealed his own fate by recording and releasing “Hit 'Em Up”? Greg Kading: It certainly fueled an already burning fire. It didn’t help. According to Keefe D, he even said that Tupac’s name was added to the list along with Suge’s. They added Tupac on that list after the song, so you can say it contributed to it. But he (Tupac) was not the cause of it (his own death). Scott Wilson: In your opinion, was Tupac justified in going after The Notorious B.I.G and P. Diddy the way he did? Greg Kading: Well I can certainly understand why he drew those conclusions. It did appear as if maybe those guys had set him up. He had all of these bad experiences on the east coast. He’s kind of harboring those resentments. I don’t think at the end of the day that his beliefs, that they (B.I.G and P. Diddy) were behind it, would have been substantiated. I think at the end of the day he would have realized that those guys weren’t behind what he thought they were. 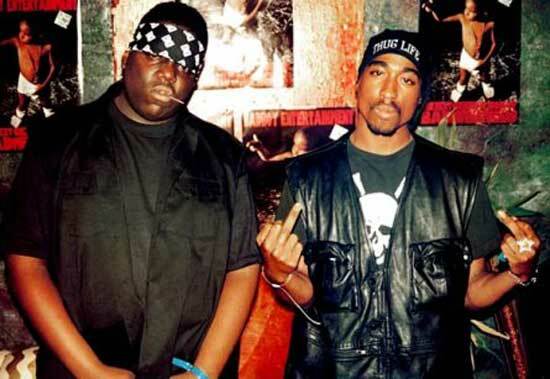 The Notorious B.I.G (Left) and Tupac (Right) before their falling out. Scott Wilson: There is a prevailing belief that the reason that Tupac and B.I.G’s murders have remained unsolved for so long is that law enforcement could care less about two Black rap artists getting murdered, especially ones with gang ties. I’ve even heard it said that white America is so indifferent to these murders, that even if they did get solved, such revelations wouldn’t even make the evening news in today’s world. What do you have to say about that? Greg Kading: I would disagree with the fact that they wouldn’t make the news. I think that they are still of huge public interest. I mean these guys have millions of fans worldwide. I think that amount of attention would demand that the media cover it. I do agree that there is an attitude of indifference within these departments about these cases. The LAPD put tremendous resources into Biggies murder investigation. Then, once the threat of this multimillion dollar lawsuit dissipated, they basically said “Hey, we’ve spent enough time and energy on this. Let’s just let sleeping dogs lie.” And the case got shelved. There’s that attitude of indifference, but I certainly believe that had we taken both of these cases to their fruition, it would have made a pretty good impact in the media. Scott Wilson: Do you think that there is a hint of irony in the fact that Tupac was killed on the west coast by LA gang members, given how patriotic he was about the west coast while he was while on Death Row? 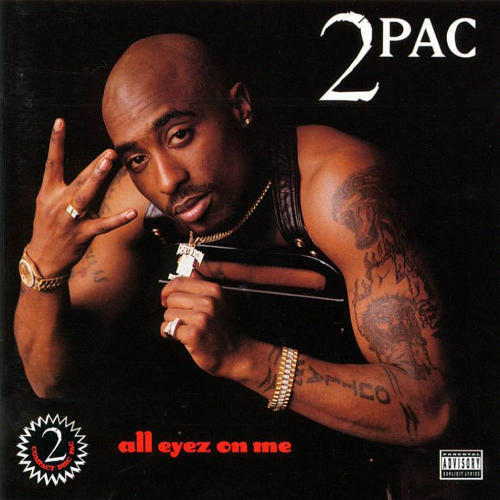 Tupac throwing up the "W" for West side on his first album for Death Row records, All Eyes on Me. It remains one of the biggest selling and most influential rap albums of all time. Greg Kading: Yeah, I guess there’s a bit of an irony there. There are a lot of ironies in the cases, actually. It was a particular rivalry that existed out of Compton between these Bloods and Crips. He could have been out here and not even been such a big west coast fan, but the fact that he aligned himself with a Blood gang that was at odds with a Crip gang, that was ultimately, I think, the fatal mistake. Scott Wilson: Was Biggie stupid for returning to the west coast so soon after 2Pac’s death, or was he simply naive in thinking that people would believe that he had nothing to do with it? Greg Kading: Obviously, he knew he had nothing to do with it, so he’s assuming that that would be somewhat obvious to anybody looking. There was no reason to believe that Biggie had anything to do with Tupac’s murder. Even though there was a media report, there was no basis for it. Given the impression initially after Tupac’s murder with that media report, and knowing that the Southside Crips were hanging around Puffy and Biggie, I certainly think Suge Knight believed that Biggie may have been behind Tupac’s murder. I don’t know that for a fact. I know he was extremely upset about Tupac’s murder. But whether he targeted Biggie specifically because he thought that Biggie was behind Pac’s murder? That I don’t know. It certainly would have made sense. Clearly there could have been that impression. Scott Wilson: Tupac remains the most revered rapper of all time, so it stands to reason that his killers would be among the most reviled men ever, at least by Tupac’s fans. Was/is Southside Crip Duane Keith “Keefe D” Davis fazed by such a prospect? Does he fear any retaliation from fans or rival gang members once his involvement in Tupac’s death is made widely known? Greg Kading: I don’t know. I don’t think that he operates that way. He’s from the streets of Compton. He’s been looking over his shoulders and dealing with drive-by shootings and having friends shot and killed throughout his whole life, so I don’t think it’s the kind of perspective that you or I might have. I think he just kind of lives day to day and understands that it’s kind of a “live by the sword die by the sword” kind of environment. I don’t think that he is overly concerned with it. Scott Wilson: Michael “Harry-O” Harris once characterized Suge Knight as thinking that his money could “change the game,” meaning that he thought he his money would allow him to live the gangster lifestyle without suffering any of the repercussions. He also said that Suge didn’t inspire fear on the streets of L.A. By contrast, your allegations against Suge paint him as someone who definitely inspired fear. What do you think of Harry O’s claims? 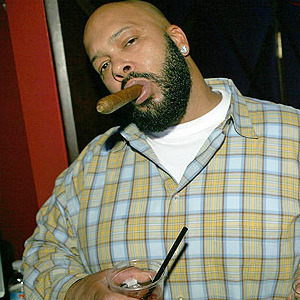 Was Suge considered a “real” gangster by LAPD standards or just a label head with gang ties? Greg Kading: I guess it’s a matter of getting down to defining what we’re talking about. Clearly, Suge on his own, just as an individual on the streets, did not command fear. He was not a guy like Orlando Anderson (A known shooter), Michael Dorrough, Alton McDonald or these other characters that were known for taking matters into their own hands and dealing deadly blows. I don’t think Suge has that kind of image about him. But because he surrounded himself with those types of people, and had the money to influence them and call the shots, then he does become a kind of very dangerous individual and somebody that should be feared because of the things he could accomplish. But he in and of himself, on his own, I don’t think he is of the same caliber or category as those other type of guys.